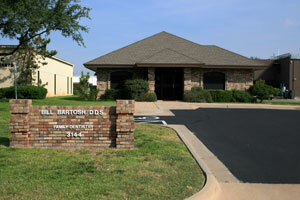 Our office accepts cash, checks, and debit or credit cards including MasterCard, Visa and Discover. For patients interested in extended payment plans, we offer flexible, low or no interest financing through CareCredit. If this interests you, please contact our office at 325-949-8581 and speak with Debbie, as she is always happy to help with your financial matters. We're pleased to offer our patients the CareCredit� card, North America's leading patient payment program. CareCredit is the credit card exclusively for healthcare services interest rates or other costly penalties. You'll get low monthly payments for healthcare procedures not commonly covered by insurance, including dental procedures. Plus, you can use your card over and over for follow-up appointments.